Hello friends! Today I created a little tutorial over on the ODBD Blog on how I created this wood framed art piece. 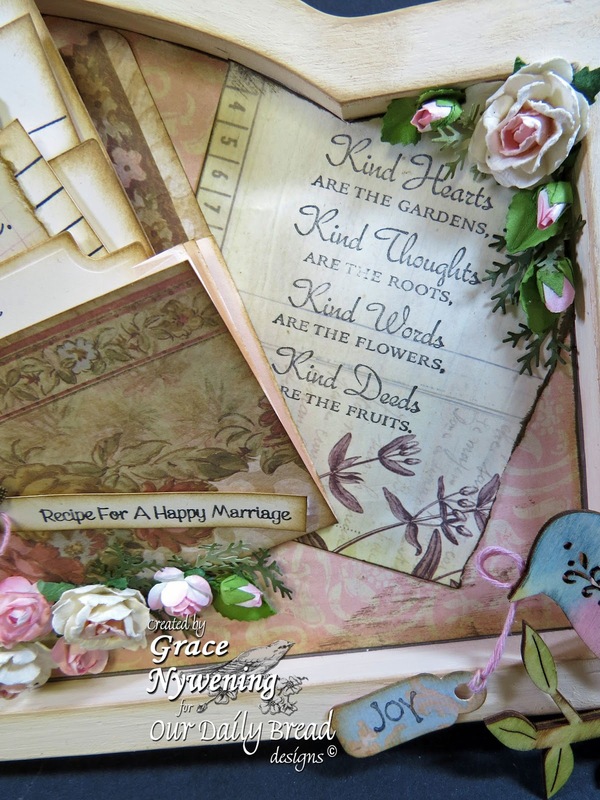 I used several of this month's release as well as several older sets, including Recipe Card Lines, Happy Marriage Recipe, Kind Hearts, Sentiments Collection, Sweet William Small, Love, Sewn with Love. 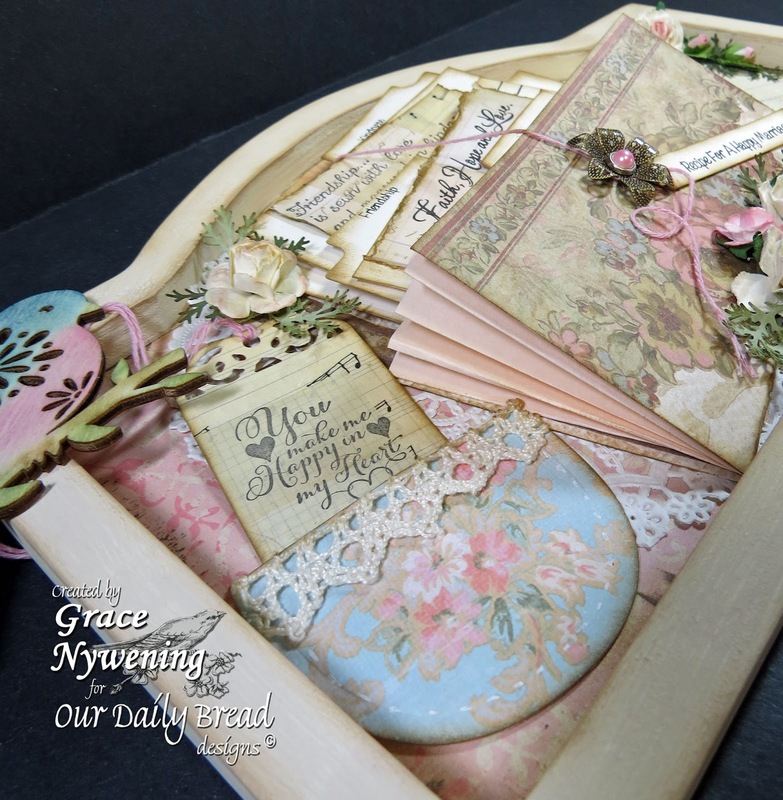 I also used this month's ODBD Custom Recipe & Tags Die, ODBD Custom Apron, &Tools Die. The focal point is an accordian style file with recipe cards insdie, and I give the full tutorial on that, as well as the basic steps used to create this entire piece. I hope you'll come over and have a look! Thanks so much for stopping by... and I hope you'll come see my tutorial HERE! So VERY beautiful!!! It would go nicely in my mom's room -- maybe I'll have to try my hand at something similar one day! God has to be smiling down on you. These are fabulous, and beautiful to look at. Your project is absolutely stunning, Grace! 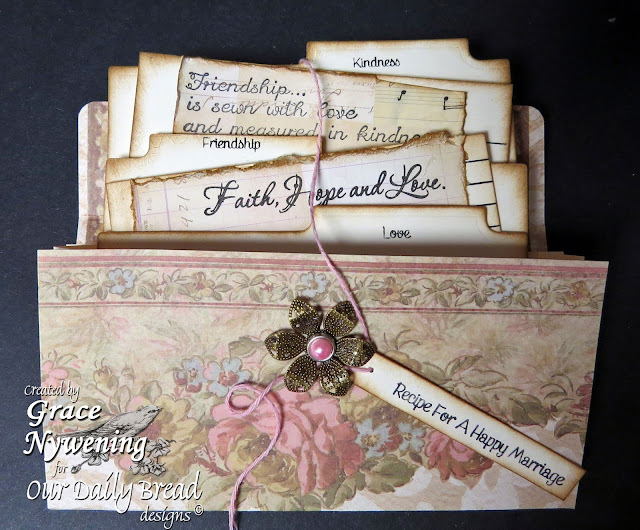 Gorgeous papers and images and embellishments! All I can say is WOW! It's so beautiful! Hugs! Incredible! I love every bit of detail, fabulous project. Wow, what a fabulous project. Love all the gorgeous details. Wow Grace...this is GORGEOUS!! I love all the lil tidbits...and soft colours!! What an awesome project! 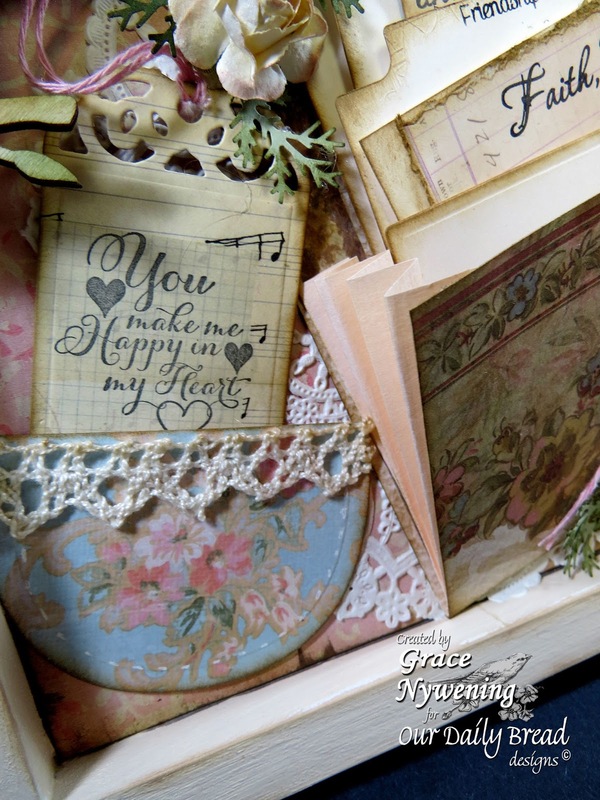 great idea, and beautiful work, Grace! This is really beautiful! Great job! Grace, thank you so much for this tutorial! You are amazing! 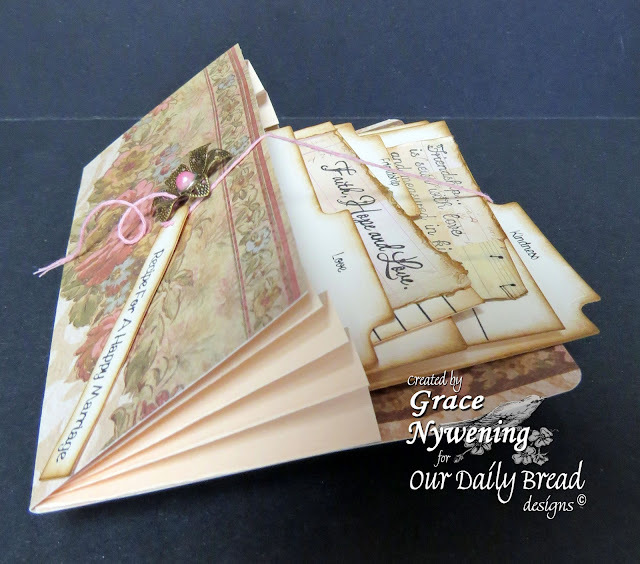 What an absolutely stunning project Grace!! 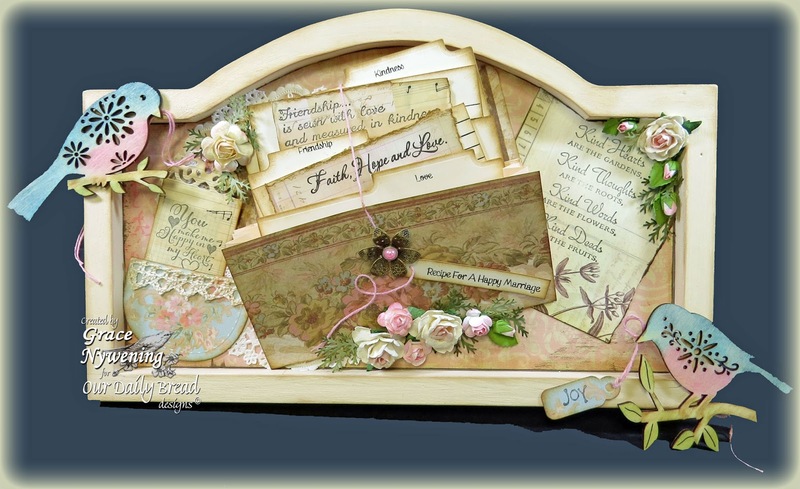 I just love your use of the coupon holder, your shabby chic design, the distressing, and all your sentiments. You truly are amazing! Just WOW!!! The colors are so soft and pretty and so many details that I can't imagine the time and thought that went into it.